University of London Students Union abolished by the University!? The following letter appeared in the Guardian on Saturday, August 2. At midnight last Thursday, the University of London Union ceased to exist. It was the largest students’ union in Europe, representing 120,000 students across London, and was a major centre of student life – playing a pivotal role in campaigns and activism, and publishing probably the world’s biggest student newspaper, London Student. Its abolition – undertaken by the University of London with no mandate from the student body – will, in spite of the management-speak in which it is dressed up, go down as an act of vandalism. But this development is neither accidental not senseless: it is the result of a marketising higher education system which is run by cliques of senior managers and former academics who have, increasingly, no basic loyalty to their institutions, their students or to any meaningful conception of education as a public good. Last week, the University of London announced that at the end of July it would shut down its student newspaper, London Student, after nearly a century in production. London Student prints over 12,000 copies a fortnight in term time, making it the largest independent student newspaper in the country and in Europe. University of London students have had a student-run newspaper funded by the university since the early 20th century. From the 1920s to 1954 the paper was called Vincula (meaning chain or link in Latin); in 1954 it changed its name to Sennet; and in 1979 it assumed its current name. London Student and its predecessors have provided University of London students with a campaigning news source and a unique opportunity to work in journalism for nearly one hundred years. Over the past year, London Student has reported critically on the university and its activities. The newspaper has exposed senior university management for taking trips costing tens of thousands of pounds to luxury spa hotels on expense accounts. It took a critical stance when the university repeatedly called the police and prosecuted its own students for protesting (some of the cases are still ongoing). It exposed the university’s use of unpaid internships, in contradiction to its own careers service’s policy. It reported that the majority of staff at Senate House are critical of management restructuring plans. 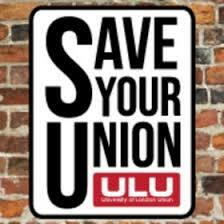 As with the closure of the University of London Union (ULU), there are political overtones to the university’s abrupt planned closure of the newspaper. Thanks to Patrick Ainley for the link.